If David Irwin hadn’t become a designer, he’d be working as a chef. Fortunately, he kept his focus locked on front of house with his Narin Folding Chair (2016). 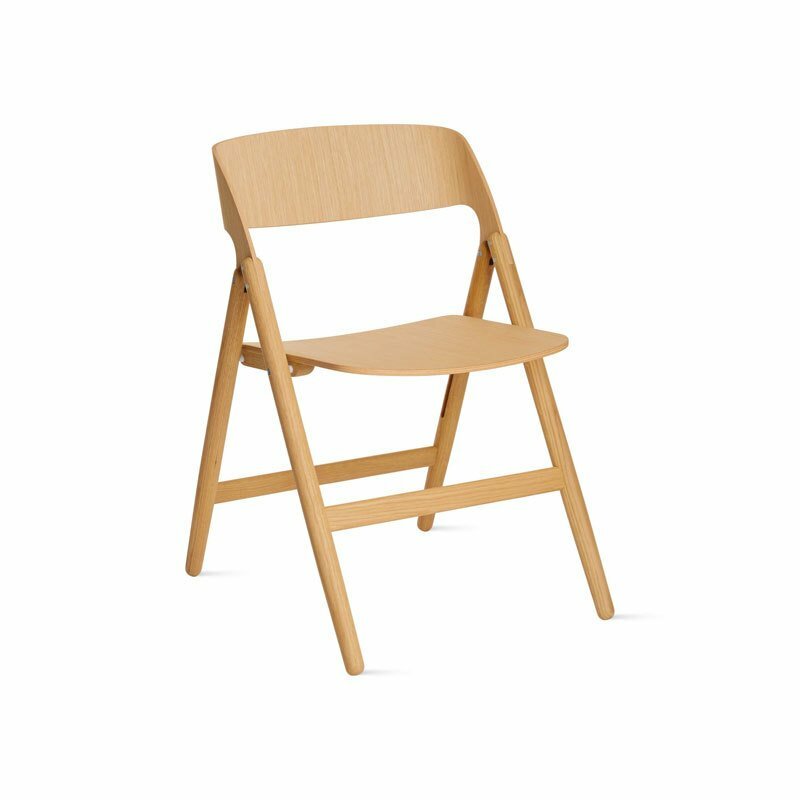 Irwin was determined to ensure this folding chair would be as comfortable as a non-folding one, and he insisted that it be made of wood. "I wanted to create something you’d want to live with for 40 years," he explains. "I didn’t want to create just another throwaway chair." This organic form delivers both comfort and appeal, especially in how its turned legs transition into a formed backrest. Made in Thailand.